As we enter the new year, we are all eager and ready to make healthier lifestyle changes. In order for most people to be successful in transitioning and sustaining a healthier lifestyle, they need to start by making small changes. Once you make the transition your body will naturally crave more whole foods because it will be able to clearly identify what it truly needs (instead of what it thinks it wants). Tip #1: Start each morning with a 16oz glass of filtered water. 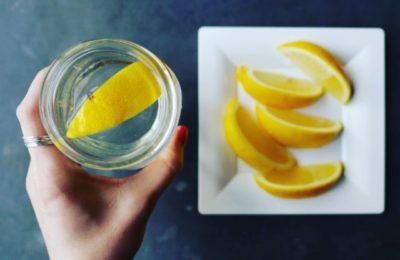 I suggest adding fresh lemon which increases alkalinity, aids in digestion, detoxification and does wonders for the skin. Drinking water before anything else (especially coffee) will rehydrate your cells and organs after a long night of work. Most people don’t think about what your body is doing when you are sleeping but your organs all have a specific duty and time frame to get it done by. If we over eat, especially too close to bed time, we disrupt the cycle and often wake up not feeling our best. Try to drink water throughout your day to ensure you are staying hydrated. Tip #2: Take a break from refined sugar, meat, dairy, processed or overcooked food. Taking a break from solid food and fueling your body with fresh raw, nutrient-rich organic juices is a great way to cleanse. 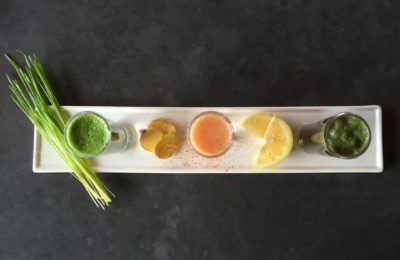 Not everyone is built to do a juice fast and that is perfectly ok. There are different ways to cleanse without going all the way. Taking a break from refined sugar, meat, dairy, processed or overcooked food, and stimulants you normally ingest may be difficult but once you are clear you will reap the benefits. You will wake up feeling lighter, healthier, and increase your energy levels. Tip #3: Try incorporating 1-2 vegan meals a week, with raw ingredients. Try incorporating 1-2 vegan (no dairy or meat- includes fish and chicken) meals a week. This can be something as simple as replacing your breakfast or lunch with a juice, smoothie, salad, and/or raw fruit/ veggie. There are plenty of other delicious warm healthy options like oatmeal and steel cut oats, but I do strongly suggest eating at least 1-2 raw (uncooked) fruit or vegetables a day to start if you don’t already. We should be eating 5 to 10 servings of fruits or vegetables each day, which can be a challenge for some. 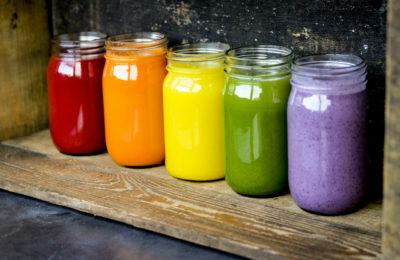 Adding a juice or smoothie into your day will easily help you reach your daily goals in their most nutritious raw form. Vegetables are often overcooked, especially greens and loose many of their nutrients, vitamins and enzymes in the process. By the way…. When cooking or steaming greens be sure to stop when the greens actually turn dark green. This will help prevent over cooking greens (kale, spinach, chard, arugula, etc.) and will ensure you are getting the most out of them nutritionally. When preparing soup it is best to add greens once the stove is off so that they lightly wilt without overcooking. Shop small and support your local farmer and grocery stores. Supporting our local farmers and natural food markets allows us to offer the freshest and most nutrient dense produce available. Contributing to our local economy is also another bonus when buying locally! Tip #5: Use simple recipes. SIMPLIFY! Most people think you need a lot of ingredients to make a delicious healthy meal but Monomeals are a simple great option. Monomeals are composed of just one type of fruit or vegetable for a meal preferably in season and even better if grown locally. Some of my favorite are apples, cherries, watermelon, berries, grapes, and mango. 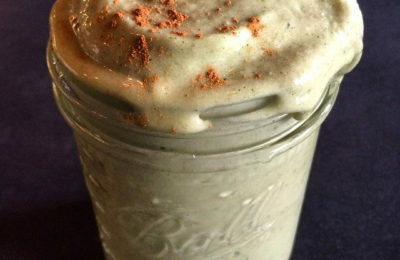 These meals are great for digestion and are a great break from traditional options. Craving a candy bar? Dip pitted dates into your favorite nut or seed butter and add shredded coconut, cinnamon, or cacao nibs and enjoy!